The development of humor and enjoyment of life is just as important as any other developmental continuum, but rarely do we talk about how specifically to encourage this growth in our babies and toddlers. Connecting through laughter and smiles is a profoundly powerful way to experience the joy of love and emotion. And there is nothing more delicious than the sound of our baby laughing for the first time, that tiny gurgle in the back of his throat, that moment where you turn to your spouse, partner or friend and say: “Did he just…!” It’s a thrill of a lifetime. Books can draw this out in a baby, and we can nurture the development of joy through the silliness of the world’s best picture books. 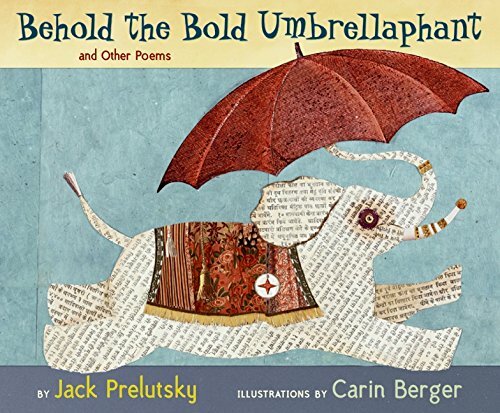 In this collection of poems and great wordplays, Jack Prelutsky introduces us to the Umbrellaphant, the Alarmadillos, the Pop-up Toadsters and the Clocktopus; we even get a glimpse into a day in each of their crazy lives. See what crazy creatures you can invent when you put together real animals and everyday objects as you share these silly rhymes and pictures with your little one. 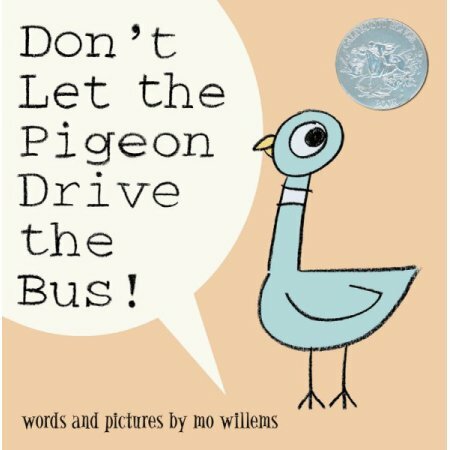 When a bus driver leaves his bus unattended to take a break, he gives specific instructions: “Don’t Let the Pigeon Drive the Bus.” But the mischievous pigeon tries to weasel his way into getting permission to drive by bribing, conjuring sympathy and using other tricks. Will the pigeon get behind the wheel before the bus driver gets back? Share your curiosity with your little one as you linger over Willems’ funny phrasing. 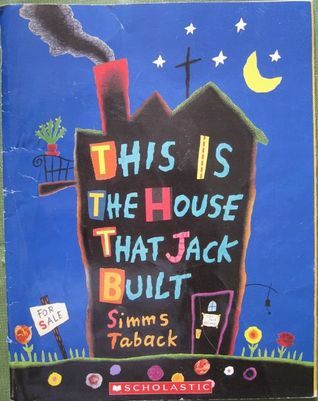 This book repeats the phrase, “This is the house that Jack built” on every page, layering each refrain with vivid illustrations and anecdotes that seem to burst off the colorful pages. The busy pages and fast-pace of the phrasing make the rhyming story feel exciting and fun for even the littlest listeners. Dr. Spock has said many wise words about how to comfort a child. Childhood is sometimes a tough road to navigate, and never more so than when there has been a serious loss in that child’s life. Whether pet or human friend, loss is real and intense, and children feel things so, so deeply. The right book can be a tremendous comfort to the small child, helping her to see she is not alone, and giving her ways to find slivers of sunlight on the dark moments that even childhood can bring. Badger’s friends are heartbroken by his death. 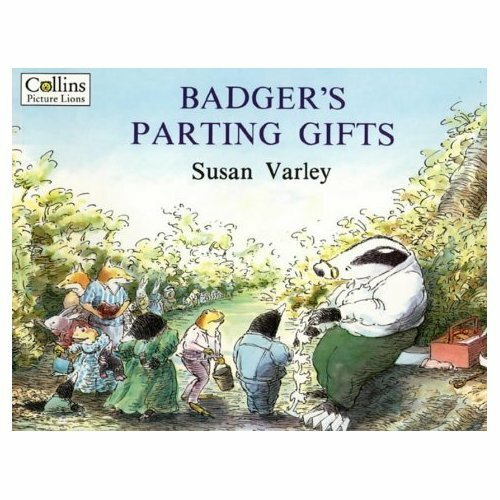 But they soon realize that Badger is not truly gone—he lives on through his friends’ memories of him and his kind, caring and helpful nature. In this heartfelt look at what it means to lose a friend, the animal protagonists create a safe, imaginary space to talk about feelings about death and loss. 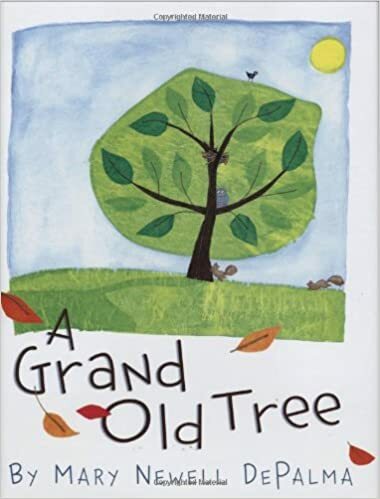 There was a grand old tree that lived for many, many years. “Her roots sank deep into the dearth, her arms reached high into the sky.” Every year she flowered and became home to many animals and insects. After a long time, she grew old and died, leaving behind the roots for many new beginnings. The metaphor of the tree leaving behind a legacy and memory for future generations is a compassionate way to help children bear the death of a loved one. Tommy loves his Nana Upstairs and his Nana Downstairs and eagerly awaits his weekly visits with them. When he arrives at the house of his two Nanas, Tommy runs between the two floors, sharing special traditions with each. One day, Tommy learns that his Nana Upstairs has died and he must learn how to come to terms with the loss of someone he loves. This story can help children dealing with similar situations express their feelings through Tommy’s story and find a similar positive place. We all want to raise our children to be loving, but even beyond that, to be people who reach out to others, even those they do not know and may never have met. Compassion can be cultivated and books are an incredible resource for helping our children connect with others and to develop a sense of understanding of the struggles and joys of others. Through these understandings, our children are able to grow as people who will take care of friends and strangers in ways that will make you proud. Luisa visits her mama at Walter’s World of Beauty every day after school. While Mama saves money for Luisa to go to college, Luisa does her schoolwork and crates portraits of the clients. Luisa plans a special gift for her parent who is working so hard to give her the world. This touching story will inspire conversations about giving back to people in our lives who give us so much. Three young children want to buy their friend Miss Eula a beautiful Easter hat to show their appreciation for her Sunday chicken dinners. The children need to find a way to earn money so they decide to sell decorated eggs. After they are accused of throwing eggs at Mr. Kodinski’s shop, their plans are halted and seem to be unraveling. Will they ever be able to prove their innocence and earn enough money to buy the hat they believe their friend deserves? The challenges the children face when trying to give a simple, thoughtful gift will bring questions about race and tolerance to light in a fresh and encouraging way. Previous Post Diapers – Everything You Need to Know to Get Started Next Post Is Your Kid Latch-Key Material?